The Czech Ministry of Culture proclaimed the historic Prostejov Jewish cemetery a cultural monument last week. Remains of famous Jewish thinkers, like Rabbi Zvi Yehoshua Horowitz, predecessors of philosopher Edmund Husserl, Michael Zweig, the founder of the Zweig literary family and other over 1900 Prostejov inhabitants, are still buried there. The proclamation was also sanctioned by the Office of the Czech President, Miloš Zeman. 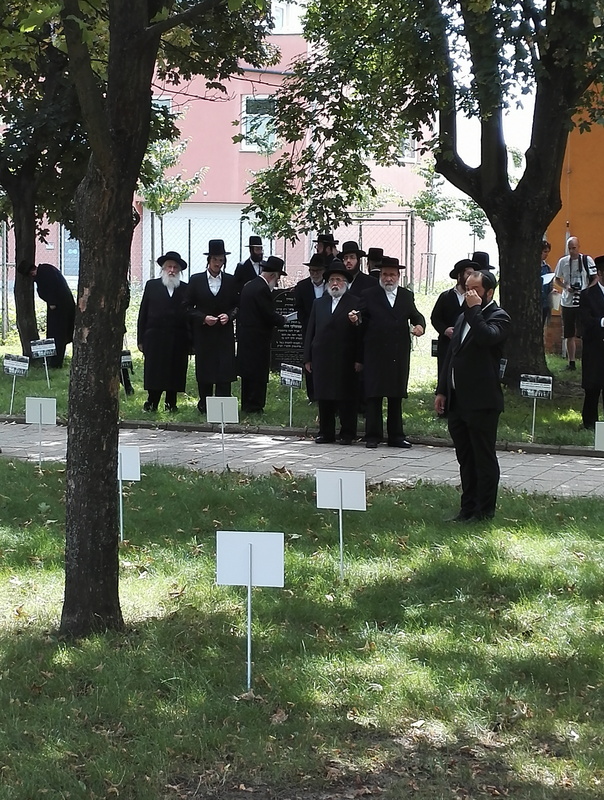 Today, to reflect this decision, a solemn religious gathering took place at the site of the graveyard, destroyed by the city during the Nazi occupation in 1943. 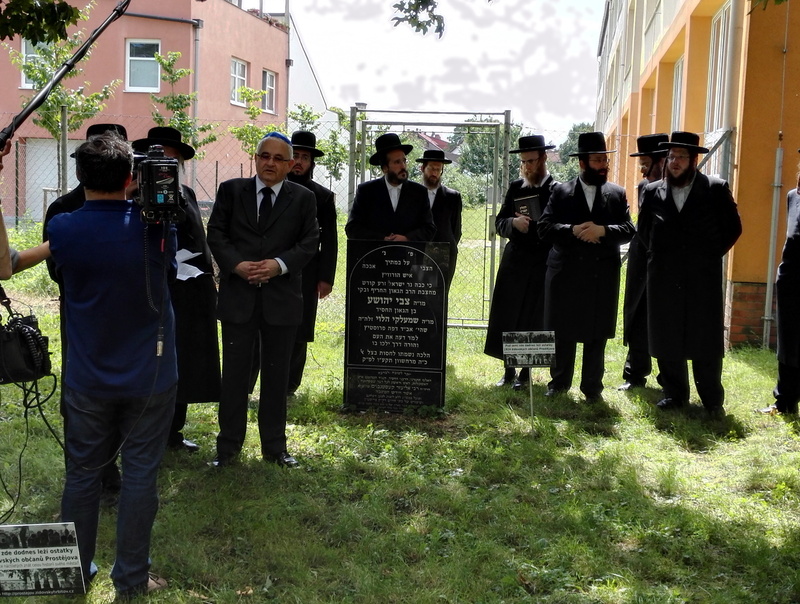 The rehabilitation project, fully sponsored by the WMSBG Kolel Damesek Eliezer charitable foundation, was entered into in 2013 in cooperation with the Federation of Jewish Communities in the Czech Republic. Contrary to the approach of the highest Czech cultural authority, the project has met strong resistance from the Prostejov City council, especially by the city’s Mayor Mrs. Raskova, which publicly opposed even the proclaiming the site to be a Cultural Monument. 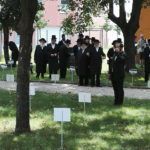 “It is unbelievable that 71 years after Holocaust the highest city official in a democratic country would torpedo attempts to pay tribute to the deceased 1924 citizens of Prostejov buried on the ground of the Jewish graveyard destroyed during Nazi occupation,” Rabbi Louis Kestenbaum said during the religious gathering. In his speech, Kestenbaum praised the approach of both the Czech Ministry of Culture as well as that of the Office of the Czech President Miloš Zeman, for recognizing the value of the historic site for future generations and clearly demonstrating respect to Jewish religious traditions. He was accompanied by 20 supporters of the project from US, UK, Israel, Austria and Czech Republic. Would you walk your dog over the remains of your relatives? Would you park your car over the remains of your relatives? Shouldn’t teenagers have the right to know what lies in the path of their way to school? Shouldn’t the current teenage generation be made aware of the history of their city? Isn’t it correct to respect the piety of the place devastated during the war even today? Is it ethical to demand financial reimbursement for surrendering the historical tombstones? Petr Papoušek, the President of the Federation of Jewish communities, welcomed the decision of the Ministry of Culture. 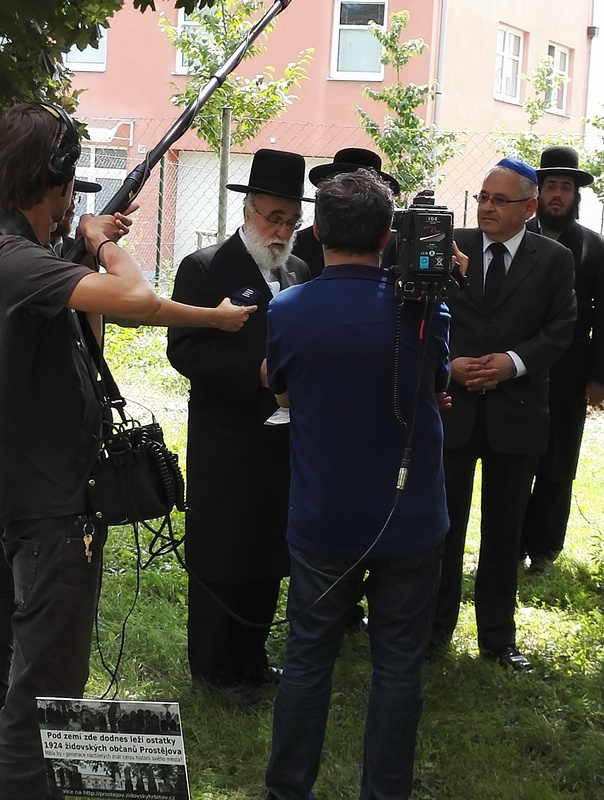 “We supported the application for the Cultural Monument, which was filled by the WMSBG Kolel Damesek Eliezer about a year ago, from the very beginning. “ He hopes that the city will understand view of the Jewish community and current talks with the municipality under the umbrella of Federation will bring some tangible results soon. According to Kestenbaum the design of the planned rehabilitation of the area is attractive and considerate of the surrounding area. After finishing the commemorative work it would remind the citizens of Prostějov, especially the young generation as well as tourists, of the history of the city once called the Hanakian Jerusalem. “The cemetery was taken from the Jewish community during the war, and our position is simply that is should be returned to an appropriate Jewish organization so that it can preserved as a memento for past and future generations,” Rabbi Kestenbaum said. The city can still appeal the proclamation, though.